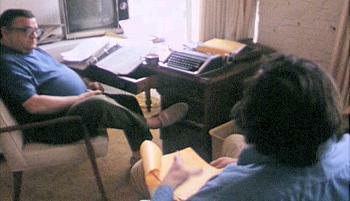 St. Louis Wholesale Typewriter Co. - "We sell fine old typewriters"
When Francis Ford Coppola needed a dependable, lightweight portable to work on his script for "The Godfather" with Mario Puzo, what did he choose? 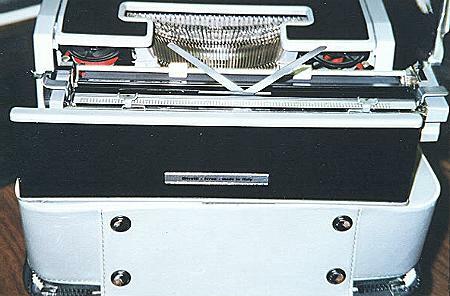 The Olivetti Letter Deluxe was part of the Designer Series that was renowned not only for its looks but for its usability as well. 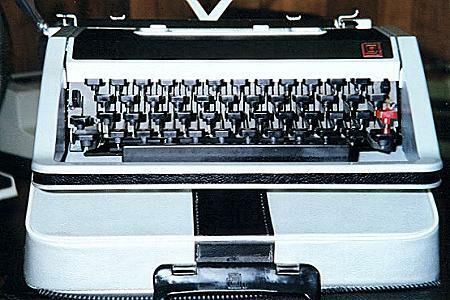 This black vinyl and silver beauty was a special edition from Olivetti. 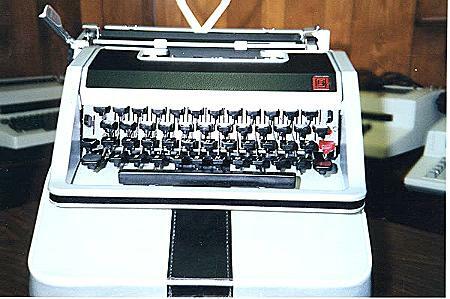 Made in Italy, this compact beauty could hold its own against the full size behemoths of its day. 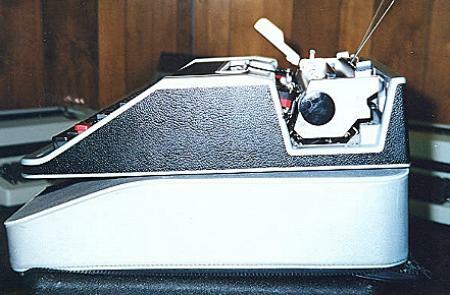 I have fully restored this beautiful machine to its original glory and know it will become some lucky writers prized addition to his study or work place. 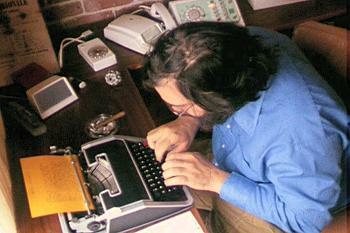 This is the same model as chosen by Francis Ford Coppola for his personal use, and is still in use by many satisfied Olivetti owners around the world. 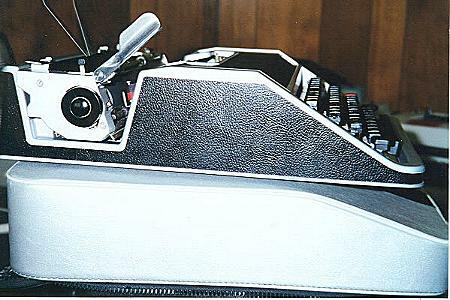 This typewriter is small enought to be used just about anywhere, yet able to withstand the rigors any young writer may wish to put upon its keys. 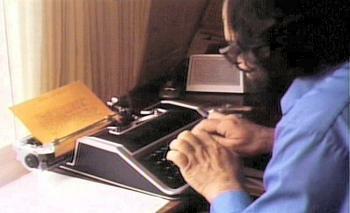 Comes with everything shown here, and my seal of "Fine old typewriter."